Your quest for Industrial Fine Chemicals ends at Kamman Group. We offer a qualitative range of Industrial Chemical Powders that are utilized in varied industries for respective applications. Industrial Fine Chemicals are manufactured using best quality raw materials that assure our clients of our authenticity. 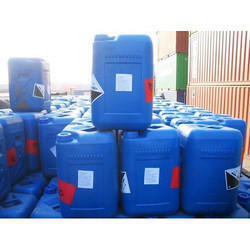 Effective and pure are the buzzwords for industrial chemical available with us. Apart from this, we ensure availability of Industrial Fine Chemicals in varying quantities as demanded by customers. We are reckoned as one of the most illustrious Industrial Chemicals Manufacturers and Suppliers from India.